How Could Jesus Do Your Job Better? I said my typical daily prayer on my way to work and asked The Good Lord to guide my hands and give me a good attitude. I was exhausted on my way to work, after a long week of school. I felt tired, and emotionally insufficient. When I prayed, I begged God to give me a heart that loves people the way He loves people. Very first patient of the day needed their foot wrapped, and I immediately dreaded it. (Seriously, no one likes feet.) I walked into the room with an attitude that was less than gracious, but something triggered inside of me when I entered the room. It was as if the Lord said, “Cassie, Jesus washed feet, if He washed feet, you are not too good to wrap this foot.” After that, my perspective changed. I thought to myself: How Could Jesus Do My Job Better? Jesus could do my job better because He would wash feet with a cheerful heart and be blessed because of it. Often times, the clinic becomes incredibly busy. If you ever see me working on a weekend, you’ll see me running around like a chicken with their head cut off. It can be very stressful, and my mind often races with an ever growing to do list of patient needs. When a patient asks for a glass of water, my first reaction used to be less than enthusiastic. However, when I consider how Jesus could do my job better, I am reminded that although I may give a patient a glass of water, Jesus gives living water, which is exponentially more beneficial. As a nurse, I may hand a patient a glass of water to relieve their thirst, but Jesus does my job so much better by giving anyone who asks, the gift of living water; eternal life. As a nurse, the most basic job description I could offer would be to help promote healing. Whether that is through administering medications, cleaning wounds, or giving injections, I am assisting patient’s in their healing. But Jesus could do my job so much better because He is the Great Physician. While I can help promote healing, I can never provide the healing power that our Lord Jesus can. Jesus can do my job better because He can truly heal. My touch will never heal, but Jesus’ hands truly heal. I find an amazing amount of comfort that Jesus could do my job better than I can. From here on out, my daily prayer not only begs Our Lord to let me love people like He loves people, but also allows me to thank Him for doing my job better and guiding my hands and heart to become a better nurse. So let me ask you, How could Jesus do your job better? Because I know He can. Because in the end, it isn’t about me or you, or even about our patients (What?). Instead, it’s about doing the work for His Kingdom. And the hands and feet of Jesus are blistered, callused, and dirty. Let your work look more like His. How can you show others more of Him in your life? I pray that Jesus does your job better than you do. I pray that Jesus guides you to be more like him, in your career and in all aspects of your existence. 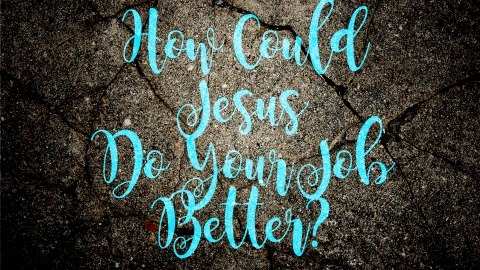 How is Jesus doing your job better? How can you show the world you are Christ like? 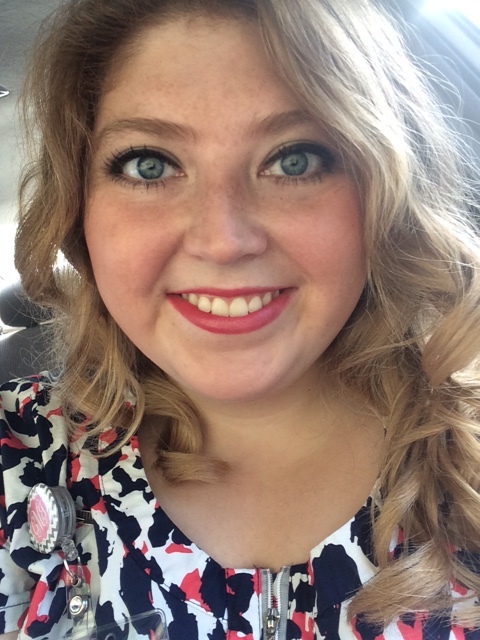 Last week was my last week of Nursing School! I know what you’re thinking, how is that even possible? The last two years have gone by so quickly! And while it was difficult, it was also really fun, rewarding, and a time in my life that is so special to my heart. However, with Graduation quickly approaching, my heart as found some new anxieties to latch on to and keep me up at night. 1- I’ve never not been a student. When you’re a student, you’re a “pretend adult”. Sure you still have bills, and a job, but because you’re in school everyone knows you’re still in the process of getting your life together. To me, there’s something comforting about this stage of life. All I’ve ever known is textbooks, homework, and deadlines. I won’t know what to do with the extra time and loss of structure. I don’t do well with change, so it’s scary for me to completely close one chapter of my life to begin another. There is comfort in the schedule that I’ve become accustomed to. Graduation feels like I’m stepping out of my comfort zone and into a new skin. 2- Boards. I don’t care what profession you’re in, boards are scary. The test that determines if you’re allowed to start your career. It’s intimidating and terrifying. When I think about taking the NCLEX, doubt haunts me. What if I go into the test and forget everything? What if all my friends pass and I fail? What if all my questions are select all that apply? What if it takes me 6 hours to take the exam? What it? What it? What if? This is the test we’ve been talking about for the past two years. Facing it seems like a giant quest to destroy the ring or preparing to defeat he who shall not be named. To me, it’s the stuff that nightmares are made of. 3- New independence. For the past two years, I’ve had my teachers to depend on. I had them to answer my questions, ease my fears, and clarify information. If I needed an extra hand, I had a classmate nearby.. Graduation means this source of help is pushing me out of the nest and waiting to see if I fly or fall. The past two years, my care plans have been graded, graduation means my care plans will no longer be marked up in red ink, but patient outcomes will matter even more. I’m afraid of the independence that graduation brings, because what if I’m not ready? But thankfully, for all the reasons I am afraid to graduate, I’m equipped with a reason not to be afraid. As scary as it is for me to close this chapter and move to a new one, my God didn’t give me a spirit of fear. Instead, He grants me power and love! Though change is a fearful process for me to go through, the same power that rose Jesus from the grave lives inside of me. With that kind of boldness inside of me, there is no room for me to be timid. 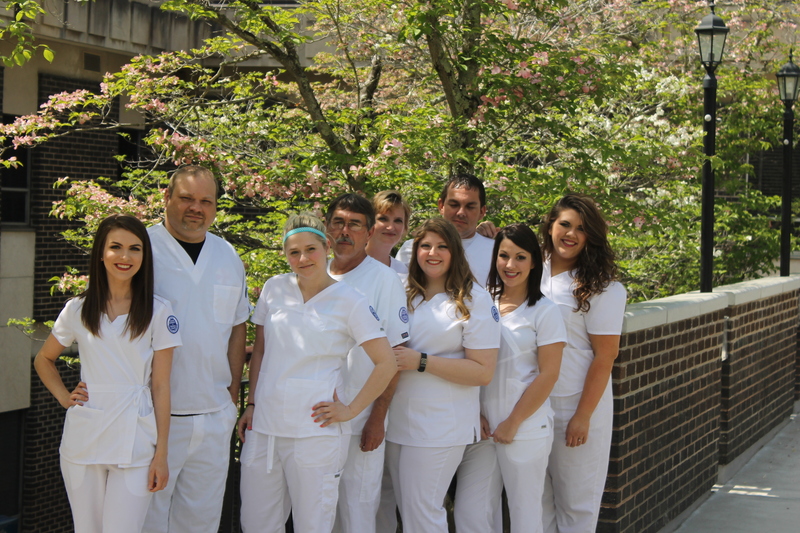 Growing up, if I was ever nervous about a test, Mom and Dad would tell me “If you do your part and study, you can trust that The Lord will do the rest.” The same is true with the NCLEX. I know I don’t have to be afraid of it, because I’ve spent the last 2 years preparing for it and I’ll spend the next few weeks studying my guts out. I know if I do my part by studying, the Lord will do his part by calming my nerves and opening my mind for the knowledge I need. Thankfully, The Lord comes with us wherever we go. This means He was with me at school, in clinical, in my car, in my home, at work, and everywhere else I’ve been. (Although those have been my big hang out spots during Nursing School, in case you were wondering) This also means that when I begin my career, Our God will be with me in each shift, each medication pass, each phone call to the physician, each code, each abnormal lab value, and everywhere in between. Because He goes with me, I don’t have to be fearful. Fellow graduates, regardless what your career is, I pray that your own fears can be squashed by the Word of God. I pray that you feel proud of yourself and see the beauty of your accomplishment and I pray that your achievement reflects the goodness of Our Lord. What are your graduation related fears? How are you overcoming them?